This August, more than 10,000 athletes will call Rio de Janeiro home for the Rio 2016 Olympic Games. 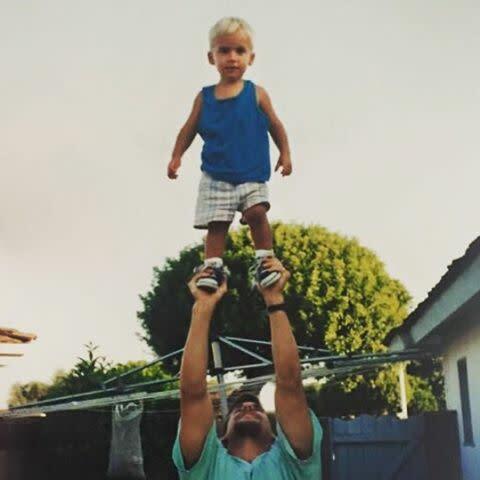 One of these hard bodies is Sam Mikulak, a renowned Corona del Mar-born gymnast who has trained in Huntington Beach for nearly his entire life, and who serves as a phenomenal ambassador of Surf City USA. The 23-year-old 2012 and 2016 Olympian now lives and trains at the Olympic Training Center in Colorado Springs. But when he dismounts off of his pommel horse, he’s back in Orange County, pouring love into his Huntington Beach-based company MatéBros. 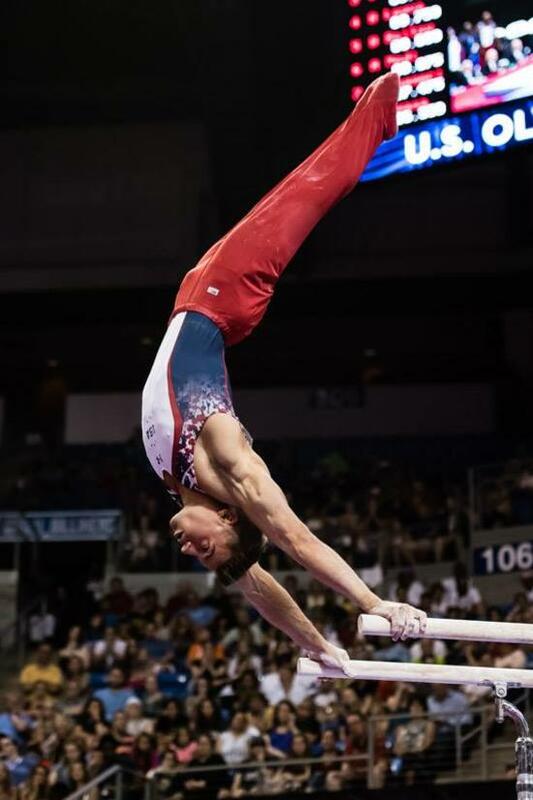 With his grip on the gold in Rio, Sam has been swinging, tucking, and vaulting since age two, training at SCATS Gymnastics in Huntington Beach and later mounting his might as a University of Michigan Wolverine. 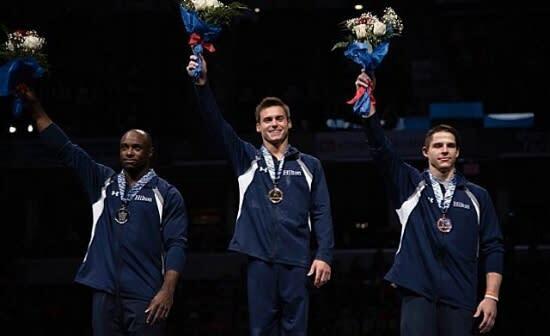 During his initial season in 2011, he became the first freshman to win the all-around title at the NCAA Men&apos;s Gymnastics Championships. 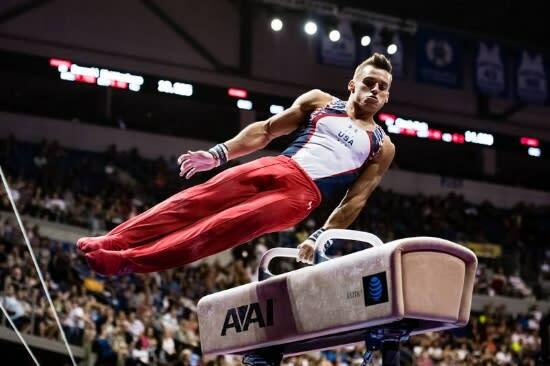 Spring forward two years, and Sam, aka “Sos,” wins his first national champion title at the 2013 National Championships, catapulting him as the face of U.S. men’s gymnastics. For Sam, the proof is in the pudding, or the yerba maté—a drink we’ve all heard of but likely can’t define. 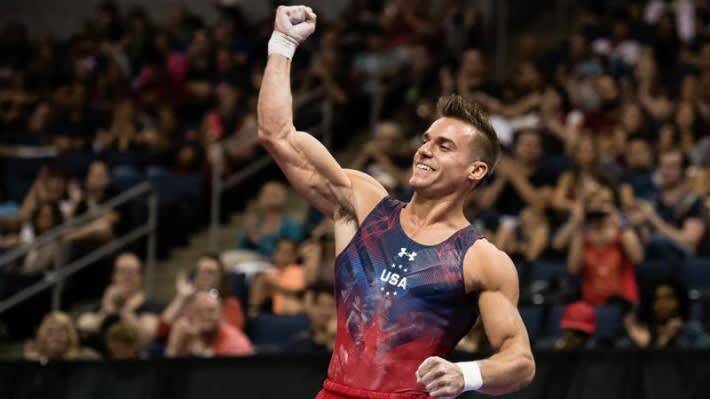 In early June, he became the first male gymnast in the last 16 years to win four consecutive all-around national championship titles, and the Team USA standout captured the top all-around score during the U.S. Olympic Team Trials later that same month. MatéBros comes in the form of an eight-ounce can filled with yerba maté tea, a South American caffeinated beverage revered for its natural, healthy kick. 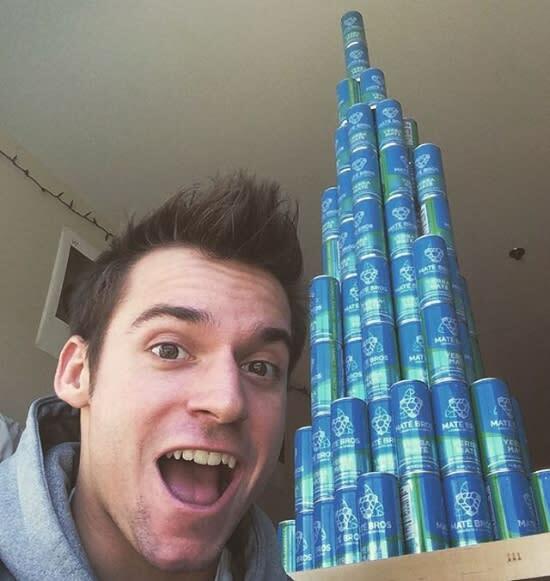 Sam launched his company in 2014 through a Kickstarter in college with high school “bros” Jordan Gaarenstroom and Alex Anunciation, and is determined to make the tea as popular in the U.S. as it is in South America, where it reigns as one of Argentina’s official national drinks. We recently caught up with Sam on a rare recovery day to learn more about the road to Rio and his energetic MatéBros. 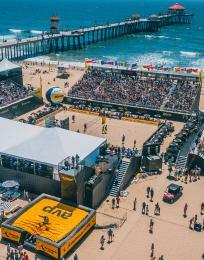 Visit Huntington Beach: With what mindset are you entering the Rio 2016 Olympic Games? 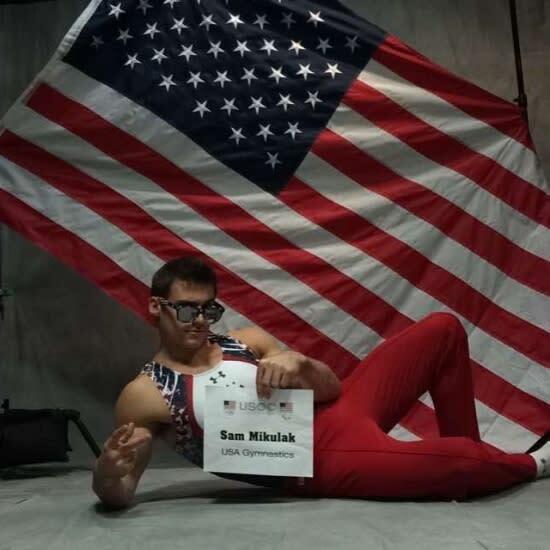 Sam Mikulak: I just want to go out, hit routines, and have as much fun as possible. There’s so much pressure and stress that can come along with competitions; all you can do is trust yourself and your gymnastics, understand that it’s no different in competition than the routines you’re doing in the gym every single day, and overcome all of the different adversities that people might see as difficult and extreme, but are only challenges for us to overcome. You talk a lot about putting in the work. What does that look like for you leading up to Rio? For me, it’s always sacrificing a lot of social life to make sure that I’m putting in more hours in the gym, being mindful, and making sure that I’m not wasting any second and any potential that I could be using toward being the elite athlete that I want to be. That required training with a great group of guys and utilizing all of the resources that they have at the Olympic Training Center. I do 30 hours of gymnastics practice a week and about 10 hours of recovery a week. That all adds up, and it can be a lot at times. However, it’s all worth it in the end if you can accomplish the goals that you’re striving for. 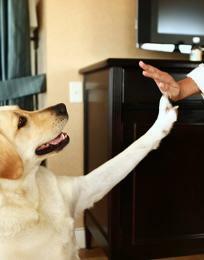 Your positive energy is extraordinary. Where does it come from? I think it comes from my parents. Growing up I was doing soccer, gymnastics, baseball, hockey, and basketball, and they didn’t want to push me into one sport—even though they were both gymnasts. They let me pick my own path so I could be as happy as possible. If there was ever a time when I was unhappy, they said, “Sam, go do whatever you want as long as you&apos;re happy.” I think being able to find my own path and make it my own story was really what made me love the sport as much as I do. Speaking of energy, let’s talk about MatéBros. How is your energy drink superior? We came across the issue of any time that you go to a convenience store, you only find sugary Starbucks coffee drinks that leave a heavy feeling in your stomach, or Red Bull that’s just pure sugar and that gives you the jitters and a crazy crash. One of our friends, Alex Anunciation, who’s also a MatéBro, introduced us to yerba maté tea when we were in high school. We had amazing practices the next day. It gave us energy, it was very light, and it fueled us to put on the performance that we wanted and make the most out of that day. Our maté seshes became ritual. We kept drinking it, and it’s been 8 years now. 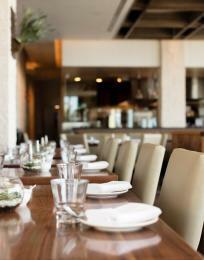 Eventually, we decided to turn it into a business. We’re about to open up an Amazon store. We’re really excited, and we want to make it as accessible as possible going into this Olympic year. This year is about trying to branch out and spread the joy of maté. 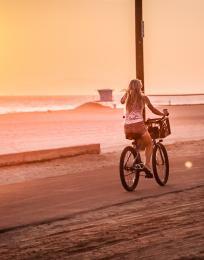 It’s something that we’ve used every single day in our lives to try to accomplish our goals. I think they all go hand in hand. It’s just part of my being to always want to be pushing toward something bigger and greater. When you find something that you’re passionate about, it just becomes part of your life; it doesn’t become work. It’s fun, it’s entertaining, and you can share it with the rest of the world. That’s really what makes what I do enjoyable. And I think a lot of people enjoy watching me enjoy what I do. Want to join “Team Sam”? Follow Sam on Facebook, Instagram, and Twitter and cheer him on. 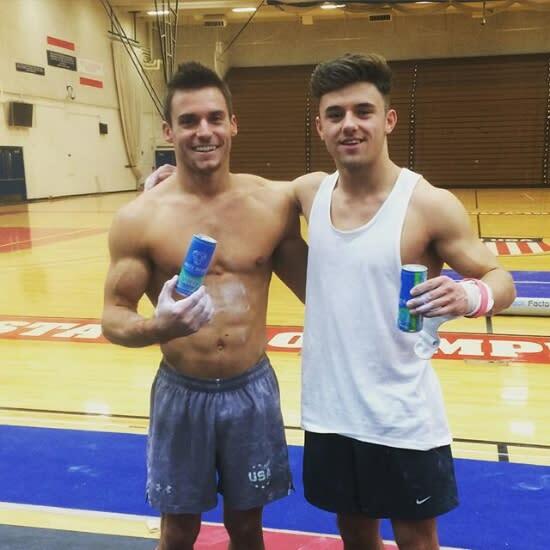 Even better, grab a can of MatéBros from The Acai King (6th and Pacific Coast Highway), JT’s Bagel Company (Edinger and Springdale), Orange Grill (McFadden and Graham), or online (they’re offering 30% off on cases using code #Ready4Rio) and cheers to Sam in Rio!